Ever wondered how exactly small startups are able to raise large sums of money to support their growth and progress? Well, that’s where venture capitalists come in. Venture capitalists invest in smaller, early emerging firms with high growth potential in exchange for equity in the company. Venture capital can be risky, but also rewarding if you’re one of the first people to invest in what becomes the next Facebook or Uber. 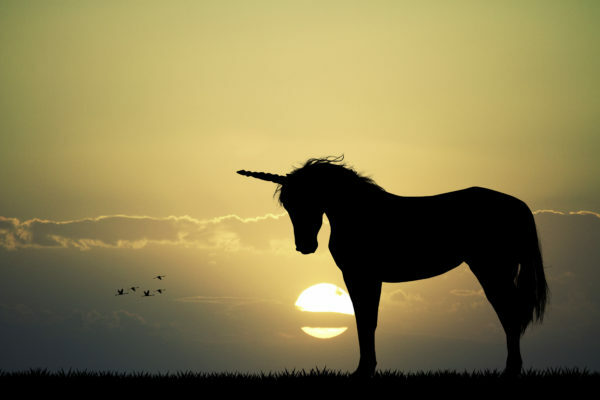 If you’re interested in learning more about venture capital, and what it’s like to work as a venture capitalist, we’ve compiled a list of 5 facts about the industry. 1. 2016 VC spending is down from 2015. VC spending peaked in 2015, with $79 billion invested across the industry, making it the highest annual investment total in the past 11 years. Compared to 2015’s all-time high, some saw the decrease in spending for 2016 to be demonstrative of a decline in the industry. In fact, the National Venture Capital Association (NVCA) claims that rather than a decline, investment activity is simply normalizing. Throughout 2016 more than $69.1 billion was invested across 7,751 companies, still making it the 2nd highest annual investment total. 2. 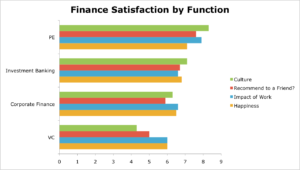 Salary, schedule, and satisfaction rivals those of other Finance functions. According to ratings from TransparentCareer users, VC trails behind Private Equity, Investment Banking, and Corporate Finance in all 4 of the categories seen below. While these numbers may seem daunting, the four categories don’t necessarily show the entire picture. When it comes to work hours and schedule, VC employees actually tend to enjoy a greater work life balance, with the average person working about 48 hours/week. Compared with PE’s 55 hours and Investment Banking’s astounding 76 hours/week average, it’s clear to why many people might prefer to work in VC. If you’re looking to work as a VC, be aware that you’ll need to wear many different hats. According to Harvard Business Review, here’s a breakdown of some of the different functions VCs may work on, and how much time is usually dedicated to each part of the process. 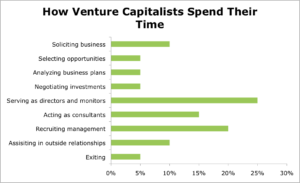 As you can see, contrary to popular belief, VCs actually spend the majority of their time not actually directly working on investing in companies, but rather on administrative tasks such as recruiting management or serving as directors or monitors. Like most other finance functions, VC is overwhelmingly white and male. While women do make up 45% of the overall venture capital workforce, they only make up 11% of investment partners. The numbers for minorities are even more dismal, with African-Americans only making up 3% of the total VC workforce, and Hispanics making up 4% of the workforce. None of the 217 surveyed firms, with over 25,000 total employees, had an African-American investment partner. Fortunately, this trend is not slated to last as the National Venture Capital Association as well as 45 VC firms have made a pledge to tackling the diversity issues. This includes conducting research to measure diversity at firms as well implementing new HR policies to encourage a more inclusive VC environment. Though there are 800 VC firms in the US as of March 2016, firms tend to either be smaller and more narrowly focused, or large mega firms that work across a spectrum of industries. But before you run to a large firm, studies have shown that bigger is not necessarily better. In fact, fund performance declines as fund size increases above $250 million. Head over to our articles on Commercial Banking, Corporate Finance, and Investment Banking to learn more about the diverse world of finance.